Nowadays, pollution levels, especially in the air, have increased dramatically. The alarming rate of increase in air pollution leads to a number of respiratory diseases. Contracting airborne diseases has turned out to be very common. Indeed, it has become important to buy an air purifier for home considering the level of air pollution indoors as well. 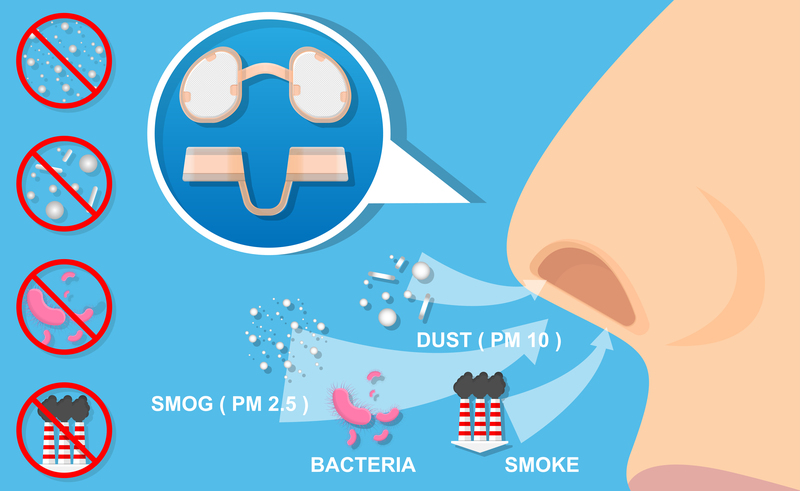 If you are wondering what airborne diseases could be caused by air pollution, then continue reading further. One of the deadliest yet the most common airborne disease, which is affecting the humans, especially young children and senior citizens, is asthma. While there are procedures, which help to control the disease if contracted, installing an air purifier for home can prevent such chronic airborne diseases. If you are suffering from frequent fever and cold, there are high chances of contracting diseases like pneumonia. Such diseases are caused due to inhalation of certain bacteria that end up entering your respiratory tracts and messes with your immunity system. Prolonged exposure to deadly air pollutants and unhealthy atmosphere at home can lead to lung cancer, which may ultimately cause death. It is very important to protect your respiratory tract by minimising the exposure to deadly air pollutants. One of the most common diseases that any human can contract irrespective of their age is common cough and cold. The viruses and bacteria that cause these diseases spread through air. Having an air purifier at home ensures that these disease-causing germs are removed from the surrounding air. Chronic Obstructive Pulmonary Disease (COPD) is caused due to air pollution. In this disease, the alveoli or air sacs and the air passages reform and distended. So, the patient would face difficulty in breathing. There are two common kinds of COPD – Chronic Bronchitis and Emphysema – which can gradually cause cancer and lead to premature deaths. COPD mostly affects people who work at quarries, docks and mines – the places that are constantly in contact with fine dust, diesel fumes etc. This is a serious disease, which can lead to untimely death if not treated right. Although such diseases are not contracted easily, once contracted, it becomes really difficult to cure. Due to prolonged inhaling of carcinogenic agents, it might lead to pulmonary cancer. Airborne diseases – whether chronic or acute – can be easily prevented if you happen to take proper measures like installing an air purifier and breathing in pure air. It’s true that you would not be able to control the air pollutants that you come across while you are travelling or working in office premises. However, you may definitely opt for installing an efficient air purifier for home and wear masks when you are outside to prevent from contracting such diseases.